This is the second post of a series about claims based identity management and the Windows Identity Foundation (WIF). The first one presented a scenario with decentralized identity authority. This posts uses this scenario to introduce the claims based model. Identity is represented by a set of claims, where a claim is a declaration made by an entity. In this scenario, Alice, LeadDev, IssueMgr and IssueView are examples of claims that represent’s Alice’s identity. An Identity Provider (or Issuer) is an entity that issues identity claims, typically containing information for which it is authoritative. In this scenario, WeDev is the identity provider, and it issues name and role claims (e.g Alice and IssueMgr). An Identity Consumer (or Relying Party) is an entity that uses (consumes, relies on) identity claims. In the above example, the consumer is CloudTrack, which uses the consumed claims to make the authorization decisions..
Privacy: only the authorized receiver of the token is able to access the contained claims. This typically is obtained by encrypting the token to the authorized receiver. 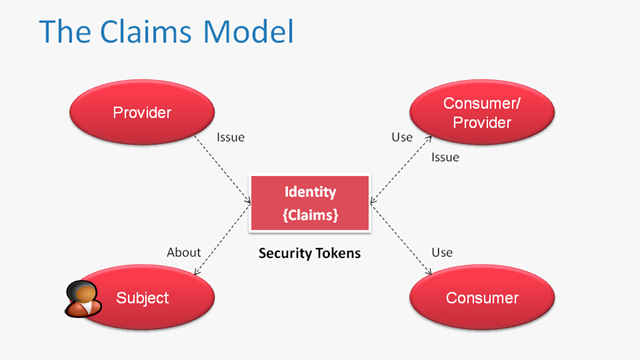 Claim integrity and issuer authentication: the token receiver is able to determine the original claims producer. Usually, this property is achieved by the issuer digitally signing the token. Bearer – any entity who has the token can allege that it is the claims subject. This is similar to bearer checks or bus tickets. Holder of key – the claims subject is any entity who proves possession of a related key (e.g. by signing the message where the token is attached). Substantive claims are claims produced by claims providers, typically after the subject presenting a primordial or other substantive claim. A Claims Transformer is an entity or module that produces claims based on claims that it receives (consumes). 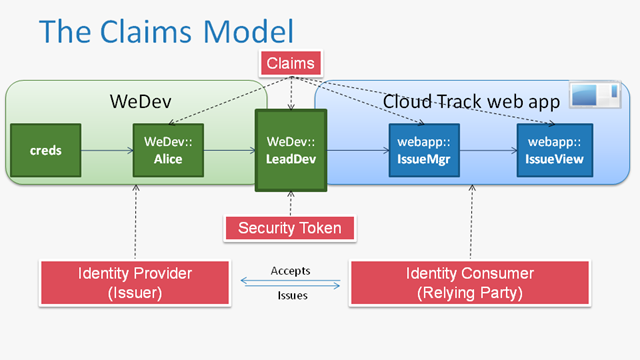 For instance, in above scenario, the WeDev identity provider can also be seen as a claims transformer since it produces the name and role claims (substantive claims) upon receiving and validating Alice’s credentials (primordial claims). The first module is a claims transformer, transforming the input role claims (LeadDev) into application specific roles (IssueMgr) and authorization roles (IssueView). The second module is an identity consumer, using the input authorization claims (IssueView) to decide if the access is allowed or not. Notice that the claims exchange between these two modules doesn’t have to use a token, since no unprotected communication channel is used. In the next post, we will present some of the protocols that are used for requesting and communicating claims and tokens. This entry was posted in Uncategorized and tagged access control, claims, identity on June 30, 2010 by pedrofelix. Last April I gave a session at the Portuguese TechDays event about Claims based identity management and the Windows Identity Foundation (WIF). In this series of posts, I will reproduce its main content. Consider the scenario where a software company (WeDev) is developing a software project for a customer (WeUse). 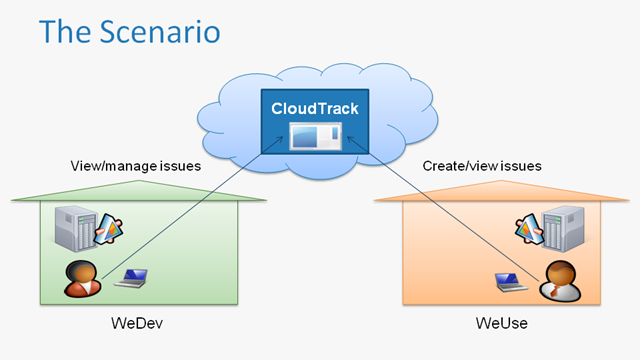 For managing issues (e.g defects, feature requests), they are using a cloud based issue tracking system (CloudTrack). Alice is a lead developer at WeDev, and one of her tasks is the management of issues created by WeUse employees, such as Bob. First, Alice needs to prove that she is Alice. For that, she uses a set of credentials such as a username-password pair. One of Alice’s roles is LeadDev and all WeDev’s lead developers can manage issues, that is, all lead developers have the IssueMgr role. Finally, all issue managers can view issues (have the IssueView permission), so Alice is granted authorization to access the issue view endpoint. A membership provider is used to validate the credentials and fetch the name of the user accessing the web app. Then, a role provider is used to obtain the user’s roles, which for Alice are LeadDev, IssueMgr and IssueView. Finally, the accessed endpoint checks if the user has the IssueView role (e.g. via an imperative or declarative principal permission demand or via the URL authorization module). One of the problems with this centralized solution is the usage of information whose authority is decentralized. Notice that Alice is accessing the web app as a WeDev employee not as a CloudTrack client: WeDev is the authoritative source of this identity, not CloudTrack. Probably, WeDev already has an identity management infrastructure for its employees. Alice must have a separate credential set for the CloudTrack’s web app, with the associated usability and security problems. 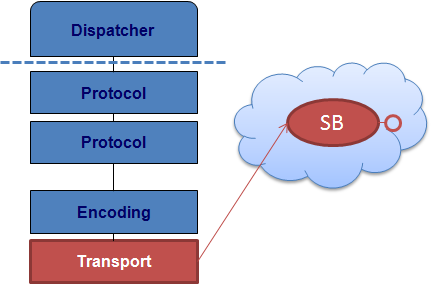 CloudTrack also gets the burden of providing all the standard credential management functionalities (e.g. password modification, protection against dictionary based attacks). 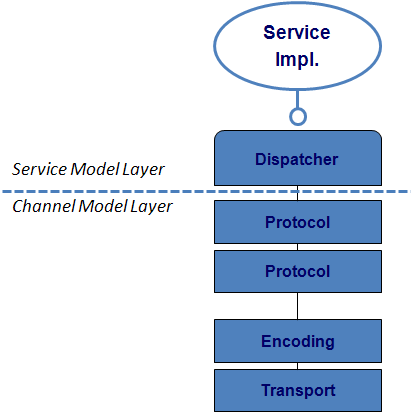 Alice’s roles must be explicitly created and managed in the CloudTrack web app. Namely, any changes in her WeDev roles must be synchronized into the CloudTrack web app. Alice’s credentials and roles are under WeDev authority, not CloudTrack’s. However, this information must be consumed by CloudTrack’s webapp, causing this replication problem. Not all identity information used in the access is under WeDev authority. Alice’s authorization decisions (e.g. the IssuerMgr role and IssueView authorization) only make sense in the web app scope. The CloudTrack web app should not have to store Alice’s credentials and identity information. There should be a way to communicate the relevant identity information, namely the LeadDev role, from its authoritative source (WeDev) to where it is required(CloudTrack web app), only when needed. In the next post, we will see how the claims based model addresses this scenario. This entry was posted in Uncategorized on June 29, 2010 by pedrofelix. This entry was posted in Uncategorized and tagged concurrency, java on June 25, 2010 by pedrofelix.